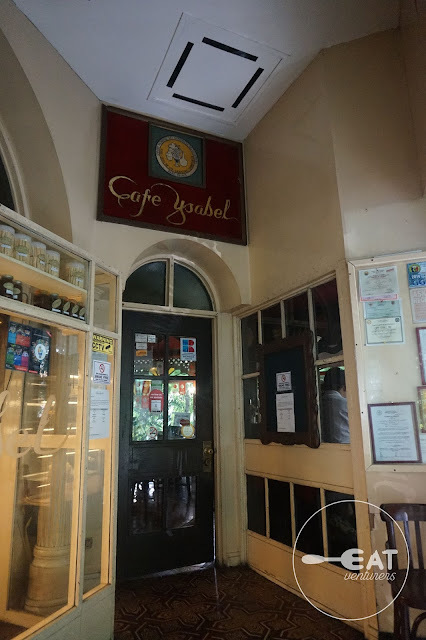 Cafe Ysabel started about thirty-plus years ago along Wilson Street, San Juan. 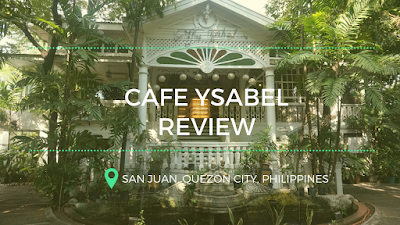 Chef Gene Gonzales, owner of Cafe Ysabel group restaurants, said he opened the restaurant with the kindness of his landlords Susan Roces and Fernando Poe, Jr. who gave him a chance when nobody else did. After six years, Cafe Ysabel eventually moved to its current location in P. Guevarra in another ancestral home. Cafe Ysabel became one of the most romantic restaurants in Metro Manila due to its rustic interiors and picturesque ambiance. 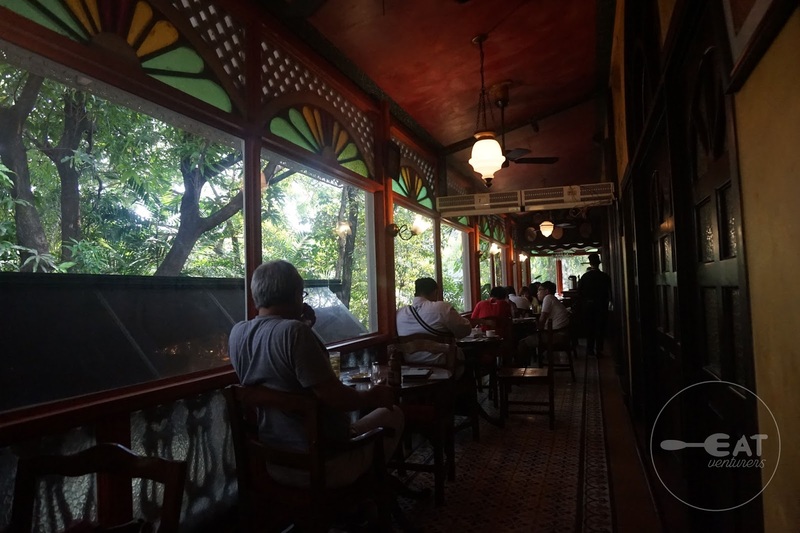 It is a restaurant that created a lot of memories of love and laughter. On July 30, however, Cafe Ysabel will be moving to a new location to spruce up the customers' dining experience. It will soon be along M. Paterno Street, also in San Juan, Quezon City. They target opening the new site by December 2017. You can celebrate your birthdays, weddings, anniversaries, or other special occasions here. We heard they even have a "yes" lane where most marriage proposals are being held. 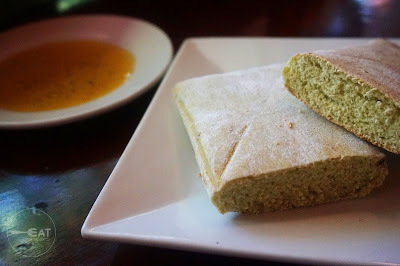 A few minutes after we have seated, we were greeted by some sort of Mediterranean bread with its oil-based sauce. The sauce was made of olive oil, balsamic vinegar, salt, and some spices. It was amazing! The bread absorbed the oil making it so damn delicious. It was warm and a little bit soft on the inside, with texture on the outside. The sauce, on the other hand, had a little bit kick of acidity and saltiness. It was a winner for an appetizer. The Eatventurers ordered Lobster Crustacean Bisque (P168), Silk Road Salad (P418) Angry Sauce (P378), and Wild Rice- Baby Prawn Risotto (P368). 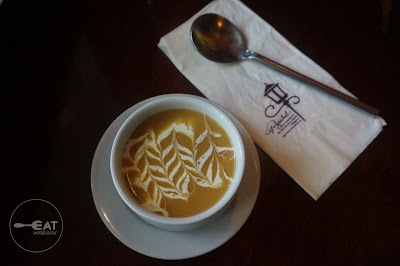 The Lobster Crustacean Bisque was delicious and was well-presented. However, it was a little bit starchy for us. It felt like the taste of the lobster isn't too strong. It also had a small piece of lobster, which we aren't complaining about. The lobster was probably part of stock-making process so its natural taste was diminished. We had high hopes for the second dish, Silk Road Salad. It was definitely a disappointment and shouldn't be served AT ALL. It was the most expensive dish from our selection and not worth its price. The ingredients aren't in harmony. It felt like they just threw in different ingredients and hoped for the best. To top it off, it had very little dressing. It felt like we were chewing grass. We requested for additional dressing from three different servers but our request wasn't granted. 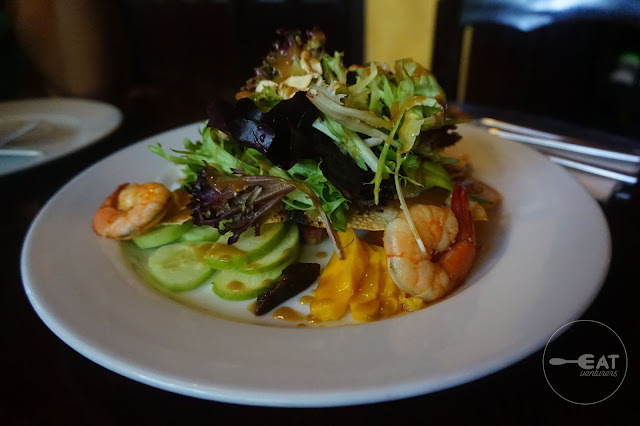 Oh, it had chorizo, dates, shrimp, mangoes, greens. We checked the menu again and it was supposed to have smoked salmon but they replaced it with shrimp without informing us. We also didn't see apricots supposedly included in the salad. 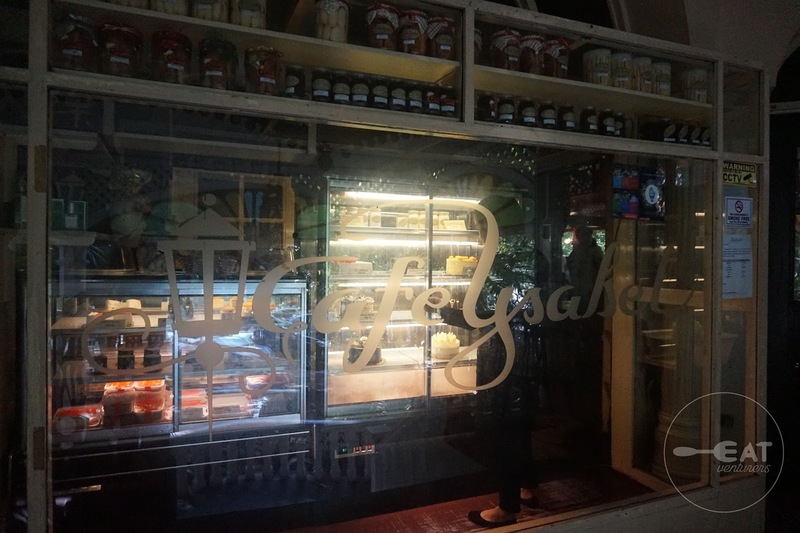 Good thing Cafe Ysabel made a comeback with their pasta, Angry Sauce. 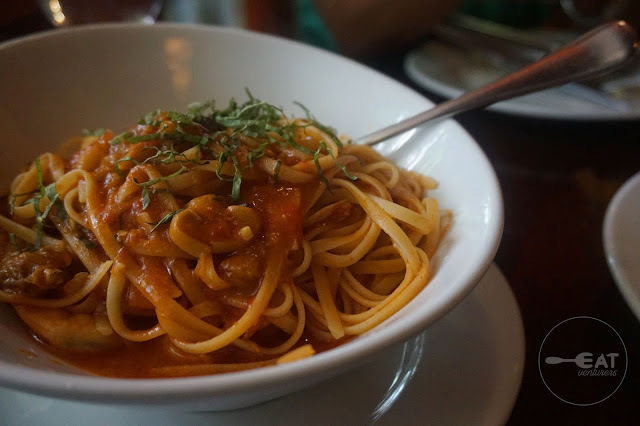 We chose fettuccine instead of spaghetti as we felt that the sauce would stick better to it. It has a tomato-based sauce, which they claim to be spiked with peppers, vodka, and brandy. It had squid, mushrooms, shrimp, mussels, and other seafood we can no longer seem to recall. It was really, really delicious. The Wild Rice-Baby Prawn Risotto is also a good choice. In fact, it was the highlight of our meal. Each bite was heaven inside our mouths. It is creamy and the wild rice was perfect for a risotto. 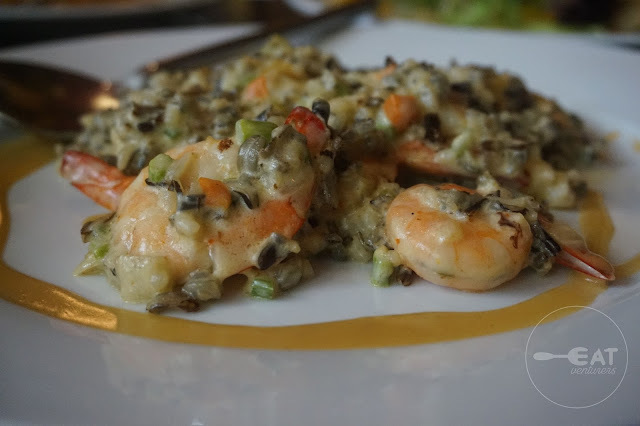 Wild Rice Baby Prawn Risotto is our highly recommended dish. It took a long time before it was served though, so a little caution: risotto is made on the spot. Allot 20 minutes or more for this. Overall, the food is reasonably priced and delicious but their service is disappointing. The servers were nice and polite but service time was too slow. Rendering of bills was slow and it took several minutes before we got our change. Servers weren't visible, although we understand that our seat was a blind spot. We read that a lot of people already complained about their service but they still haven't improved it yet. We hope that they will improve their service in their new home. Operating Hours: 11:00 a.m. to 01:00 a.m. I want to try this as soon as possible! I mean just look at the food, looks so great. 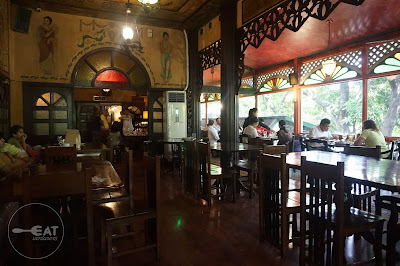 Plus, the interior of this cafe is so classy and stylish. They would be opening new branch soon. Thank you!